We will be there: look for the PSAC flags! For a full list of rallies across the province, and other ways to support BCTF members & public education, visit the BCTF website. If you are a parent and would like to donate all or part of Christy Clark's bribe of $40/day/child-under-age-13 to the teachers' strike fund, you can do so through Families Funding Teachers, set up by a local parent. 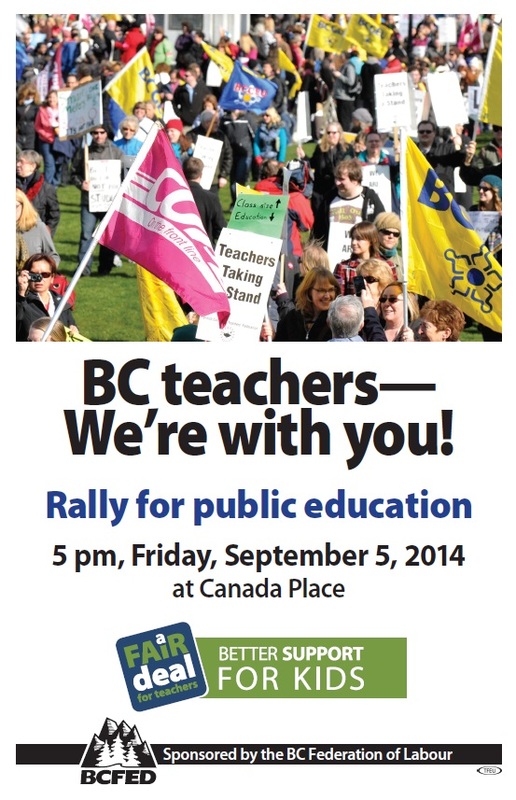 All money goes to the PayPal account of the BC Teacher’s Federation, and will be directed toward their strike fund. We can support our union brothers and sisters. Yes, thank you for the clarification: anyone can donate, not just parents. Just $5 per person would go a long way.